I’ve heard from several of you that you love seeing before and after pics of wellness spaces I’ve designed because it helps you visualize the potential of your healthcare or wellness space. 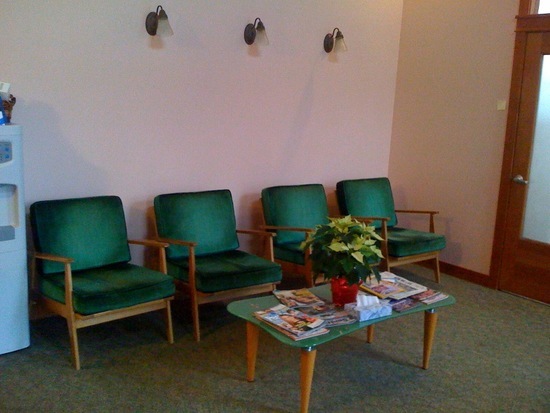 So, without further ado, here are a few before pics of woman-owned and operated Laurelhurst Dentistry in Portland, Oregon. And yeah, it’s not exactly the worst dental office you’ve ever seen, right? And yet… it could be so much better. My client complained of the space feeling sterile and unwelcoming, outdated and not an accurate reflection of her design preferences or the practice’s professionalism. 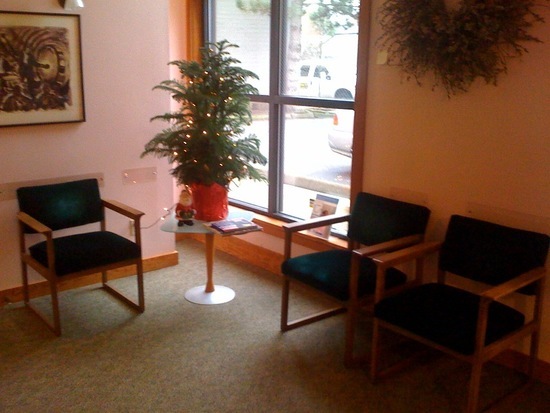 She (and her team) desired a welcoming, friendly and restorative space where patients could feel comfortable and relaxed before going in for a procedure. I was honored and thrilled to help. Your patients and clients want to pay you a premium for an exceptional experience in your space. And in fact, they are looking for it. The two largest living populations in the United States—Baby Boomers and Millennials—have an enormous influence on the design of medical and healthcare facilities. Studies show that Boomers want 5-star hotel service from their medical and wellness providers without sacrificing clinical excellence, while Millennials report technology and waiting room artwork and decor high on their list of must-haves at their favorite doctors, dentists and healthcare practitioners’ offices. Your wellness environment plays a critical role in delighting patients who now have more choice in the marketplace and are demanding that your healing space is not only pleasing to the eye, but is also easy on the nervous system—and restorative to the brain, body, mind, and spirit connection. And really? A beautiful, wellness environment helps you and your team feel less stress and more connected to doing the work you love.